No Return No Exchange? No Problem! Thank God and I hope this is for real. 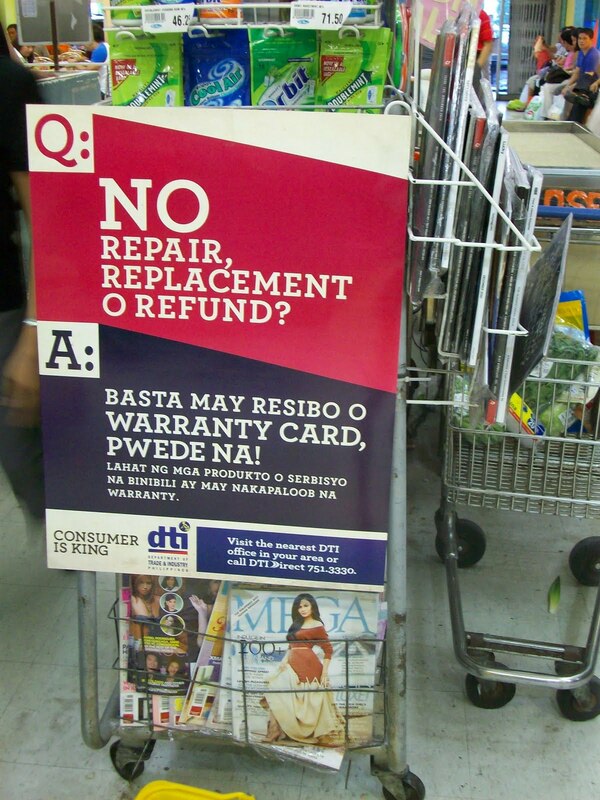 DTI -back it up alright? 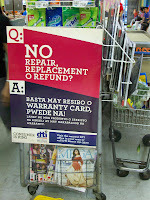 Now, ALL registered establishments are required to honor returns and replacements. I just cannot guarantee you how long it might take but I can guarantee you that THEY HAVE TO. It's the law! Amen to that. I have a warning about SM department stores though, returns may take up to an hour or longer depending on the cue which is usually really long, especially in Megamall. Also, you can only exchange items for other items belonging to the same department (ex. home section only to home section). You cannot replace a home item with one from the fashion dept, etc. I wonder if this is allowed by dti?